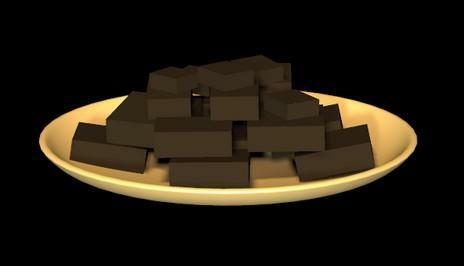 Plate of brownies .obj and .mtl files in zip. For Acts of Random Kindness. DivabugDesigns (9 years ago) Inappropriate? Excelent Nargron bribe, or simply crumble up a few and sprinkle liberally to throw its Tashboz off the sent. Obviously sling shoting some cunks will be nessesary. This way you could keep some for yourself.